This week’s applied assignment was to draw a freehand and digital maps. 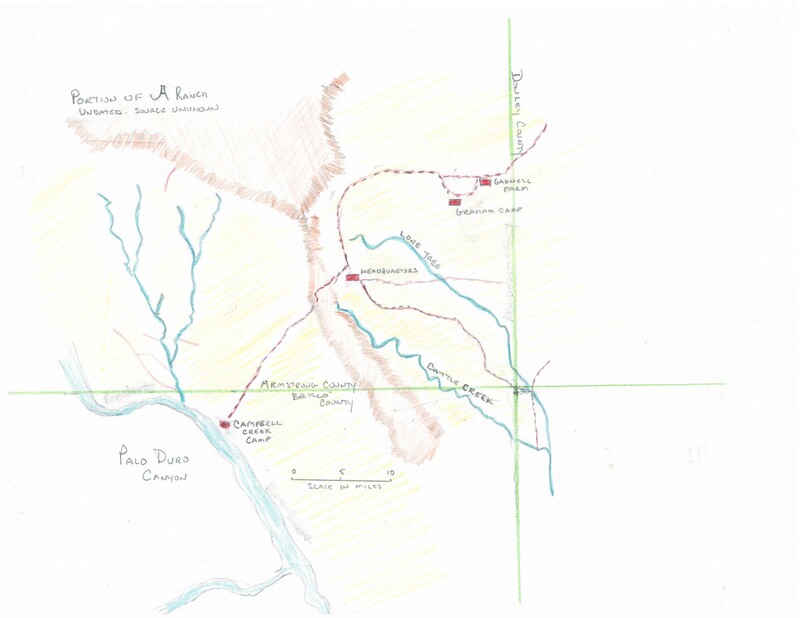 For my freehand map, I chose to work on a close-up of the area including Campbell Creek and Graham Camp (where Iva lived with her family) and the ranch headquarters. It’s a work of art that only a mother could love, but it’s sufficient for recalling important details. 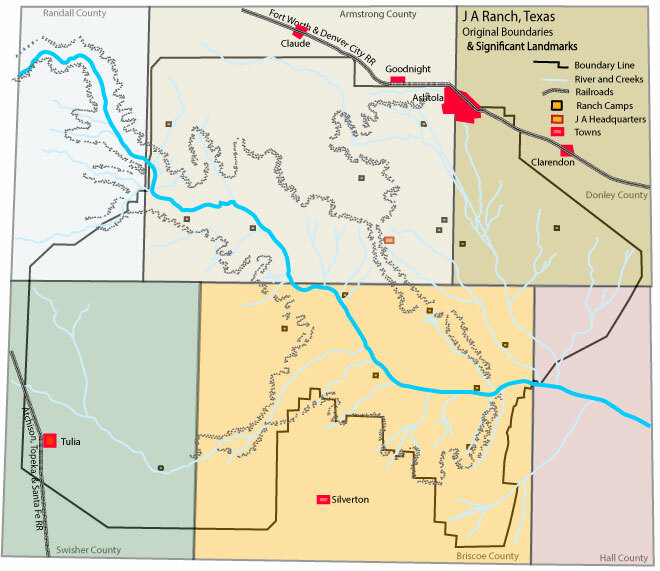 The full .pdf version the JA Ranch New Reference Map is here. I found this to be a useful meditative process, as well. Which elements were important? How could they be recreated so that each added element did not crowd the visual field? What could be left out? Do I leave in the “Old Indian Camp” if it’s not directly germane to the subject of a narrow slice of Ranch history? There’s still some thinking to do about this. In that vein, Susan Schulten’s Mapping the Nation was a timely discussion about the power of maps as a tool for analysis, information dissemination, and control. I’ve used some of the techniques she talks about in the JA map; for example, each county is a different color in order to convey a sense of the size of the ranch in a way that the words “over a million acres” does not adequately describe. The canyon walls are there, but they are not the dominate feature. Camp homes are vividly marked, emphasizing the fact that they were usually near sources of water (for at least part of the year.) 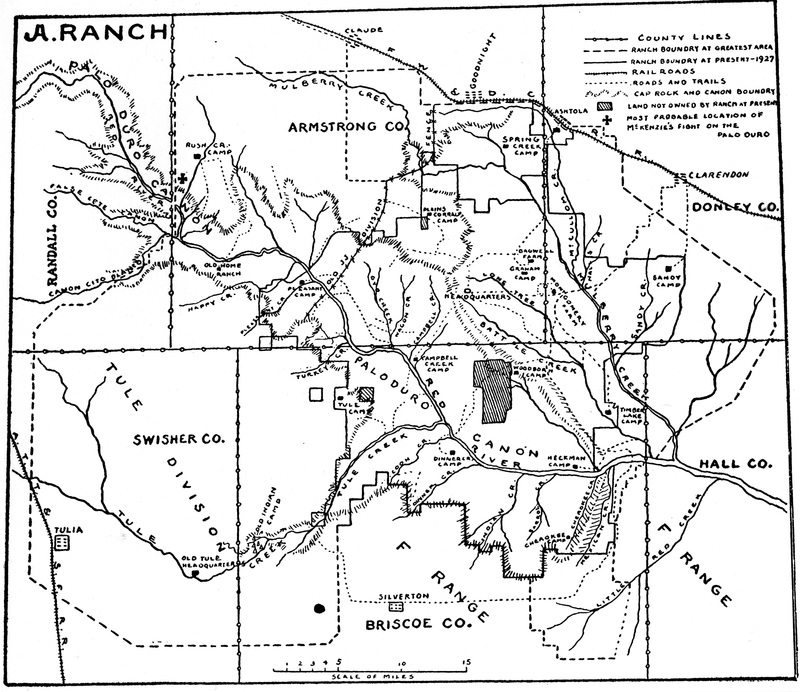 The existence of towns along the Ranch’s original border suggests something about the desire of people to be near the ranch and the railroad lines open up a line of inquiry about the decisions made to place those in relation to large cattle operations (and control over the land between the railroad and other ranches.) As I think further through the questions raised by the map, I realize that choices will have to be made about inclusion and exclusion, the things I want to represent and the things I do not wish to discuss. Those choices will be open to critique, some of which may have nothing to do with my intent. The final decision over inclusion of the “Old Indian Camp” will be inherently political. As Simon Cole writes in Suspect Identities, even quantitative data is subject to cultural constraints. Previous A Cartographic Earwig: Is This The Way To Amarillo? Next Post 6: Why Does There Always Have To Be An Argument? I see some similarities in our approach this week, but I sure wish my skills with digital drawing were as far ahead as yours! Nice posting.